A couple days ago I promised to share a recipe for the second salad I’ve been enjoying all summer (the first being the tomato, corn, and edamame salad that I love for its simplicity and bright flavours). 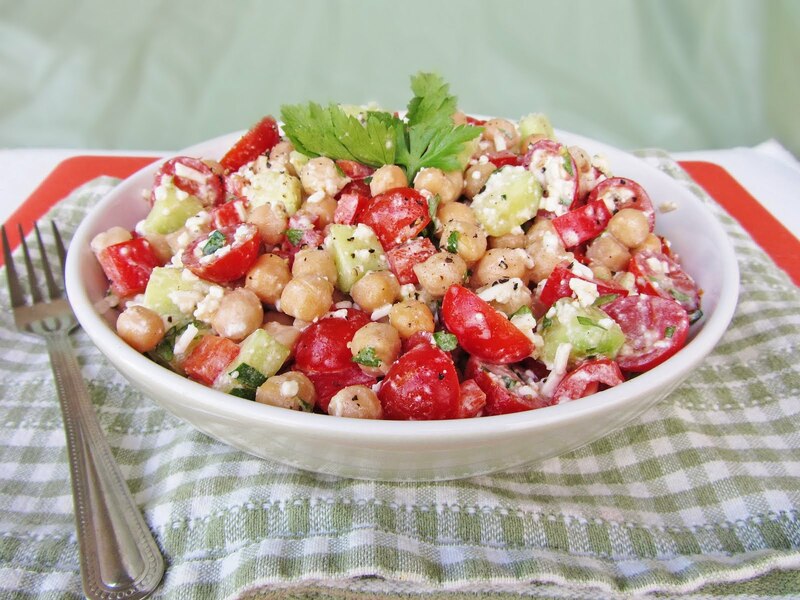 This recipe for a Mediterranean Chickpea Salad has a few more ingredients than the other one, but it’s still so easy and quick to throw together, which makes it perfect for those summer evenings when you’re craving fresh summer flavours and don’t feel like slaving over a hot stove all night. The ingredients in this salad all blend so well together to create a Mediterranean taste that I absolutely love. I think part of the reason I love this so much is because I put a ton of feta in it, and cheese always makes anything better, but I use the reduced fat kind to convince myself that this is still a super healthy salad. Feel free to reduce the feta amount slightly if you don’t want it to be too overwhelming, but I love having the taste of feta in every bite. I’d also guess that red onion would go really well with these ingredients but I despise red onion so I can’t test that theory out for you. Go ahead and add it in though if you’re an onion fan! I serve this with some bruschetta and am satisfied eating it as a complete meal, but I think it would also be a great side dish or potluck dish! It’s even better the next day as the Mediterranean flavours all meld together. I can’t decide if I like this or the corn salad better - they’re both great and will definitely be summer staples for me for a while! Mix the first six ingredients together in a large bowl. Adjust amounts of each if necessary. In a small bowl, whisk together the lemon juice and olive oil, then add to salad and mix thoroughly. Season with salt and pepper and garnish with parsley leaves. Thanks for the comment! I love when recipes are healthy and tasty too! What a beautiful salad! I know what I'm having for dinner. 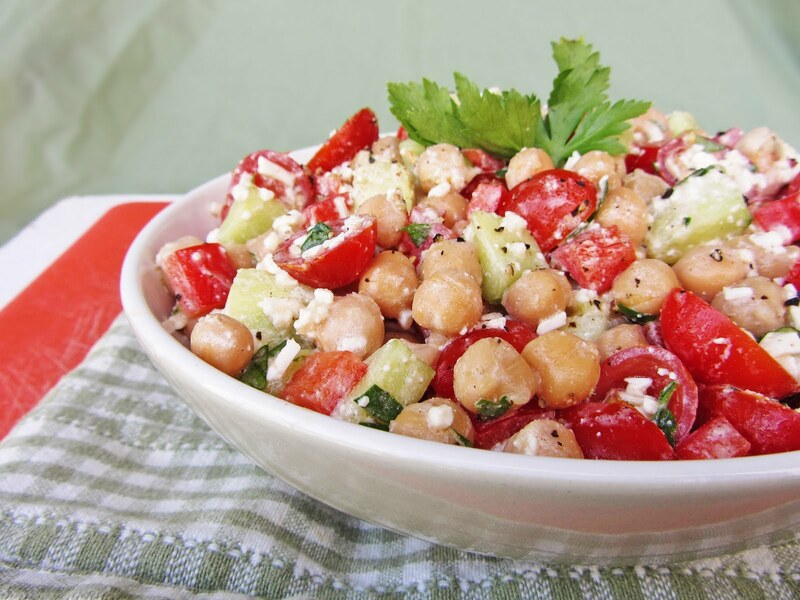 I feel like I've tried so many chickpea salad recipes, but I've never had one quite like this. It looks delicious! Thanks, you would love this one!